The results from 2015’s MPG Marathon are in and once again, the 100mpg barrier has been breached. 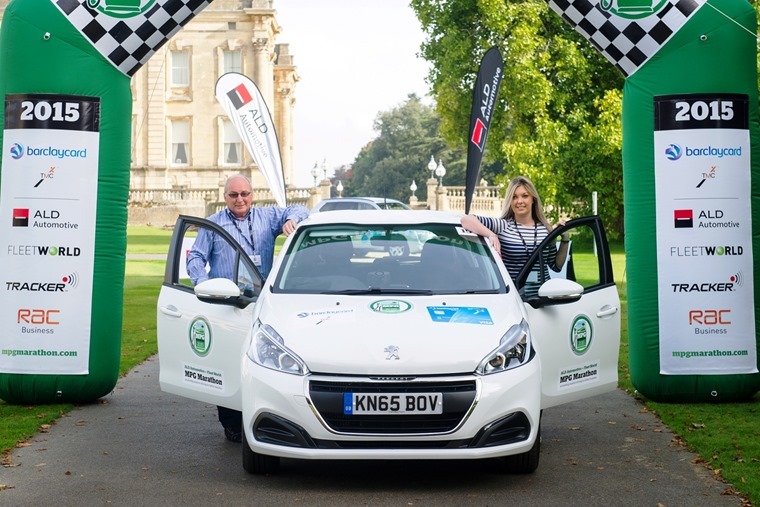 This year’s overall winners was former rally driver Mick Linford, now an automotive events specialist, who managed to milk 104.50mpg from a Peugeot 208 Active Blue HDi, with the help of part-time rally co-driver Jemma Champion. That final mpg figure is some 12.2% better than the 93.1mpg officially claimed. The largest improvement over the official mpg though came from BBC’s transport correspondent Paul Clifton and former police inspector Shaun Cronin in a Honda CR-V 1.6 i-DTEC S, which recorded 84.34mpg – a 31.37% uplift on its 64.2mpg. Now in its 15th year, the competition prioritises fuel efficiency over speed and challenges entrants to exercise all their eco-driving know-how to achieve the highest mpg figure possible over a flexible 380-mile course across the Oxfordshire, Wiltshire and Hampshire countryside. The magic 100mpg ceiling was first smashed in 2012 when three different cars all achieved triple figure mpgs. Meanwhile, a retired public sector fleet manager bagged the title of ‘most efficient driver’. 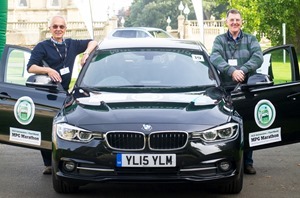 Doug Powell, along with co-driver and navigator Richard Holt [right], achieved 72.65mpg from a BMW 320d ED Sport Saloon, a whopping 10.57% over the official combined fuel consumption figure. Doug, who has only missed one of the last 15 annual MPG Marathon, had some tips for anyone seeking stronger fuel economy: “Eco-driving is all about planning and anticipating ahead, with as light a touch on the throttle as possible. Sticking around 60mph on motorways and keeping an eye out for HGV traffic also played a part in their success. This year’s contest attracted its youngest ever entrants too. 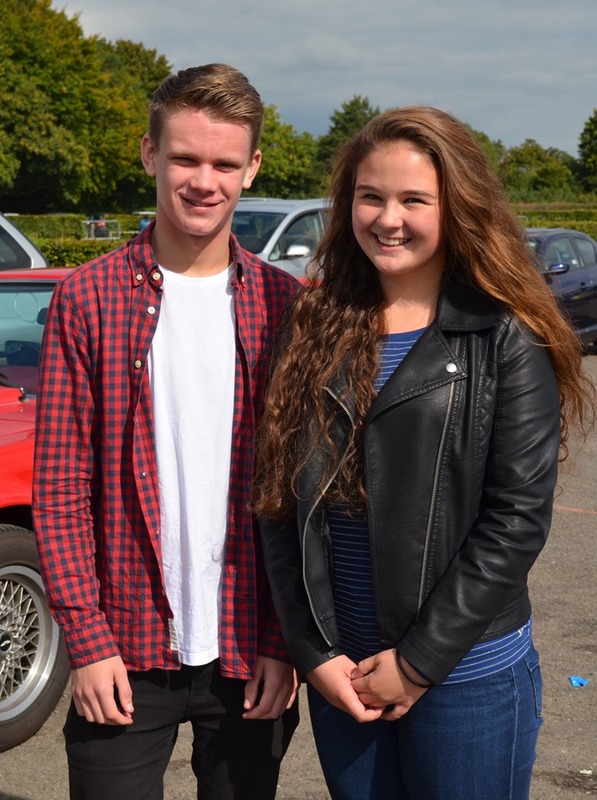 Eloise Peabody-Rolf and Rory Carmichael, both 17, had only passed their driving test week before piloting a 1.6 diesel Honda Civic to an impressive 93.81mpg. All participating vehicles were fitted with Tracker tracking equipment which works out exactly where each car was and how far it had travelled. All cars were carried the same amount of fuel to avoid weight advantages.